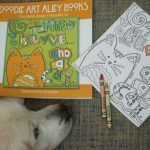 Milk-Bone believes that all dogs do so much for us every day; giving us comfort and unconditional love. That’s why each year, Milk-Bone honors dogs who care for others; Dog Who Changed the World. 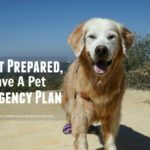 Milk-Bone has teamed up with Canine Assistants to do more for dogs and honor a few of these exceptionally hard-working canines around the country. 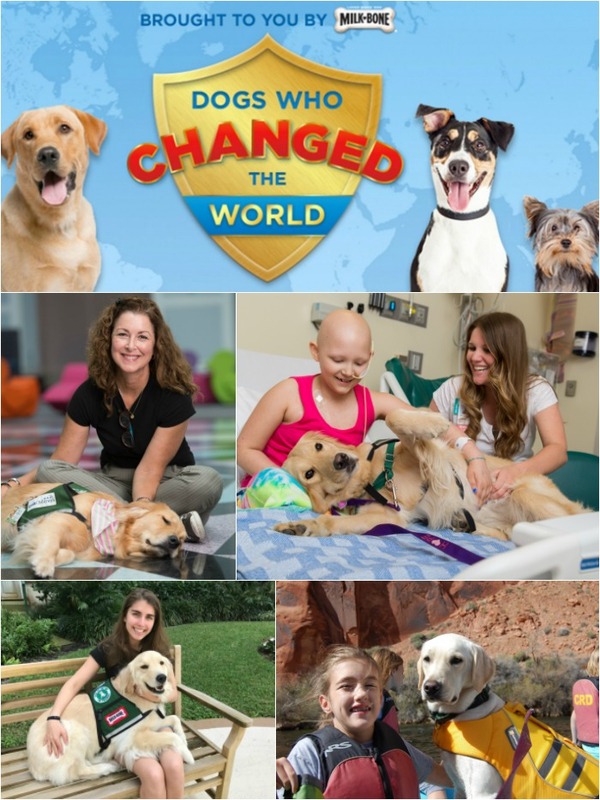 All 2017 Milk-Bone 15 Dogs Who Changed the World are from Canine Assistants; a non-profit organization that trains and provides service dogs for those who have physical disabilities, seizure conditions or other special needs. 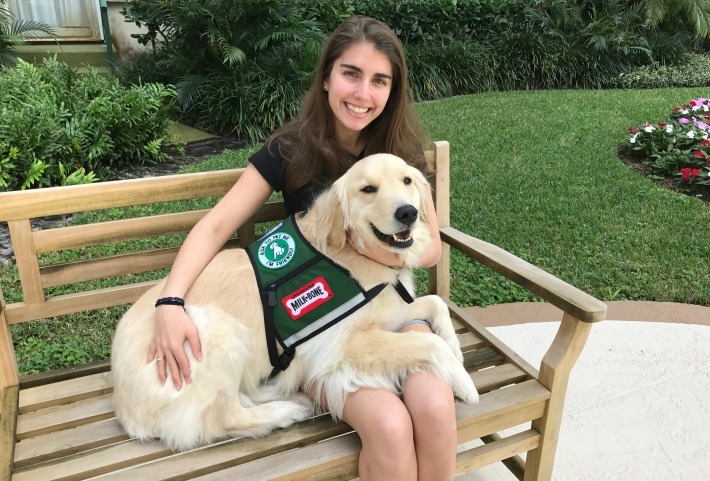 Comforts her pet parent Elizabeth Steller, who suffers from epilepsy, and is able to use a special system to call for help during a medical emergency. 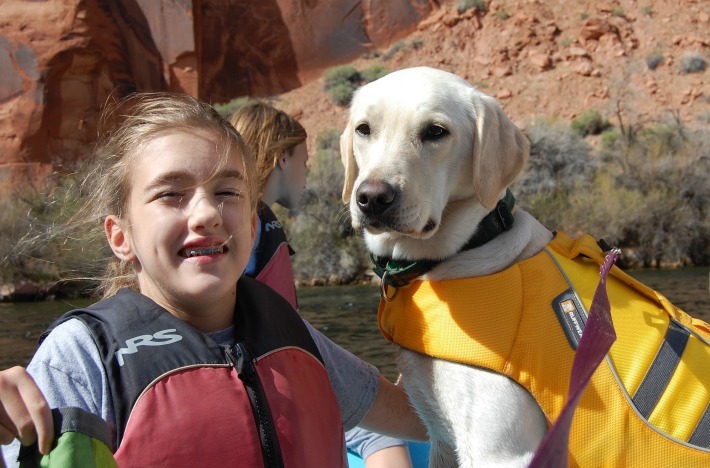 Piper comforts and encourages special needs kids during riding lessons and also comforts her pet parent Kate Miller when she is experiencing seizures. 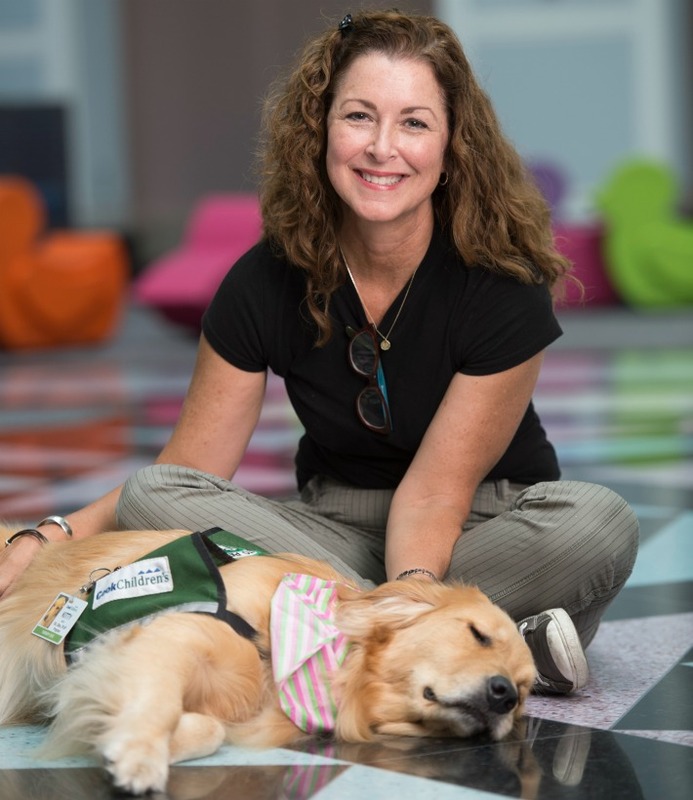 Kitty works with her pet parent, Dr. Jamye Coffman, at the child abuse clinic at Cook Children’s Hospital. She comforts and calms kids who are going through really difficult situations and even boosts the spirits of families and hospital staff. 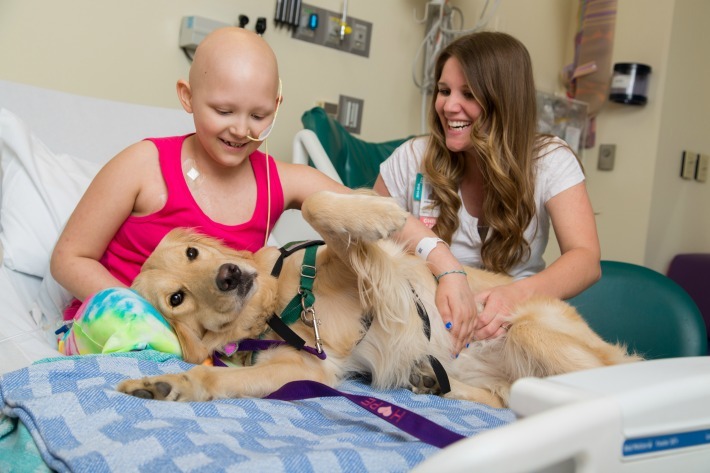 Elsa works with her pet parent Sarah Herbek at Texas Children’s Hospital to help kids feel better during treatment. She loves to cuddle up with kids in their beds and makes kids, families, and staff alike feel light and happy during otherwise stressful situations. 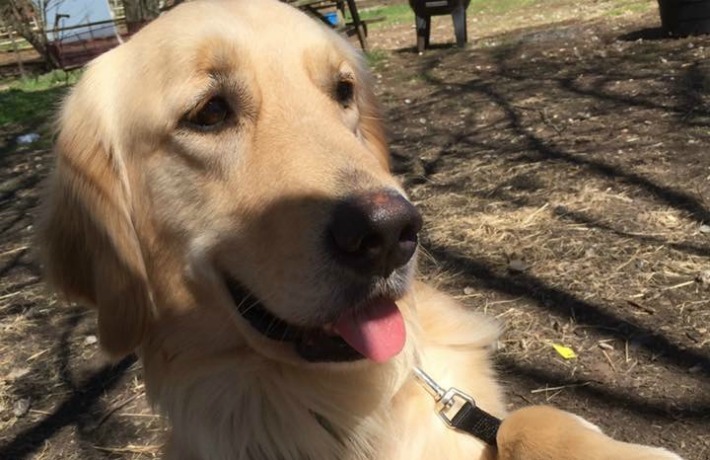 S’more gives Nicholas her pet parent and handler Nicholas Bullers, who uses a wheelchair, confidence and helps him connect with strangers. S’more is Nicholas’ best friend and constant companion. 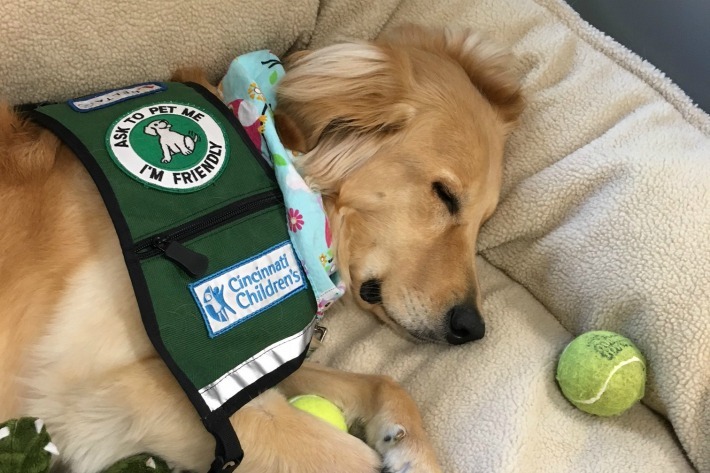 Leica works with her pet parent Kerri Birkett as a Child Life Specialist at Cincinnati Children’s Hospital. Her calm demeanor brings kids comfort and smiles. 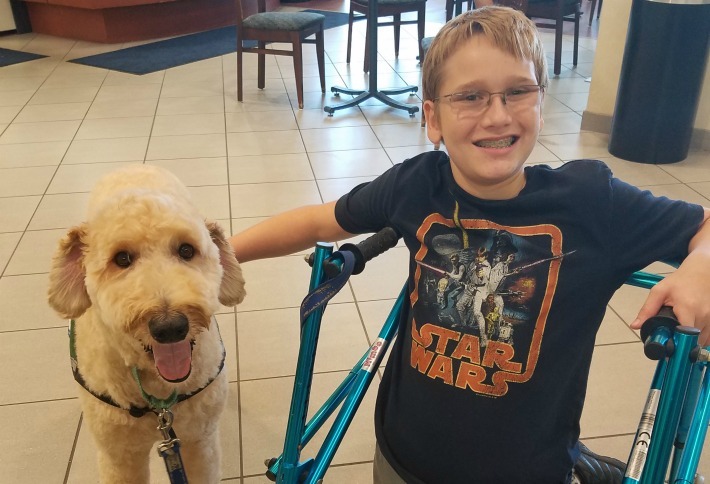 Chevy and his pet parent Katie Sullivan work together at Cincinnati Children’s Hospital to make life a little bit more normal—and delightful—for kids staying in the hospital. 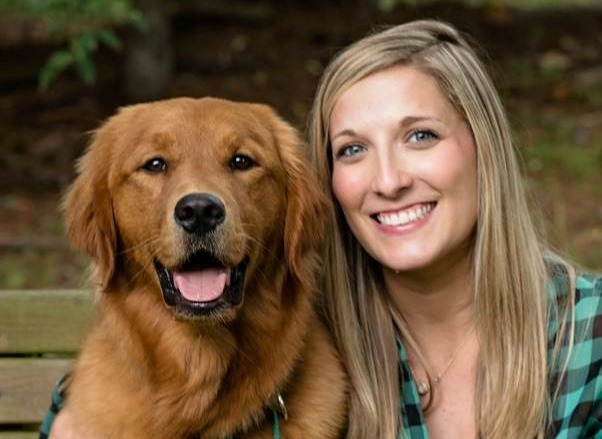 Georgie gives her pet parent Channing Seidman confidence and friendship. Channing suffers from epilepsy. Georgie brings her medicine or a phone if she’s having a seizure. The pair also do community service at the University of Cincinnati Medical Center and at Cardinal Pacelli School. 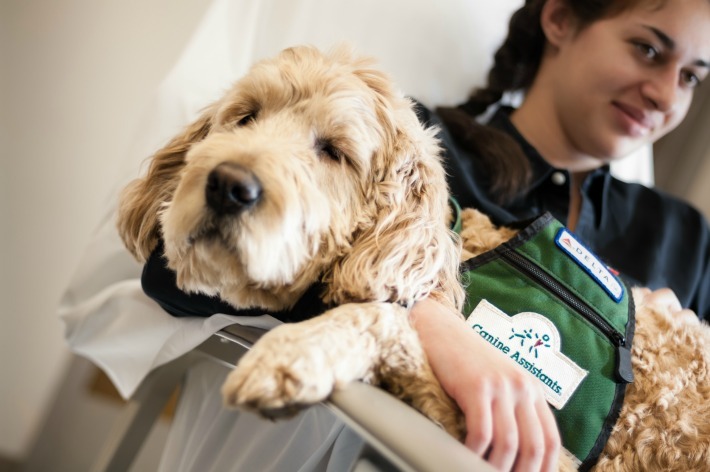 Therapy dog Hunter brings bundles of unconditional love and comfort to pediatric oncology patients at Children’s Mercy Hospital. Her pet parent is Aimee Hoflander. Hope offers patients playful, understanding companionship at Pediatric Epilepsy Monitoring Unit, and Mercy’s Eating Disorder Clinic. Her pet parent is Allison Bowring. 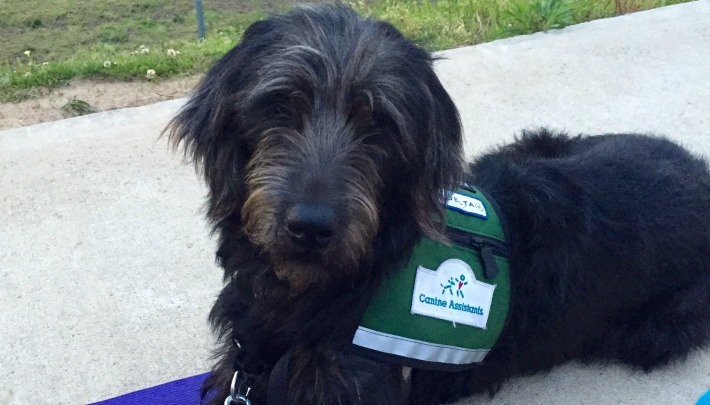 Service dog Bliss is a loving and loyal companion who is eternally by Claudia Rank’s wheelchair, Bliss picks things up, cuddles with Claudia after a long day at school, and ensures her safety throughout the day. 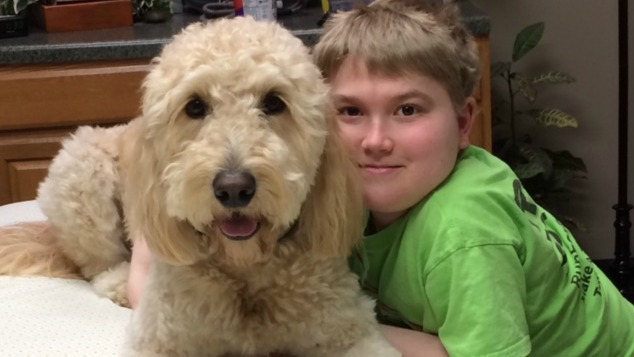 Oakley is the “dream catcher” and hero of his 14-year-old best friend Chase Conner, who suffers from cerebral palsy. 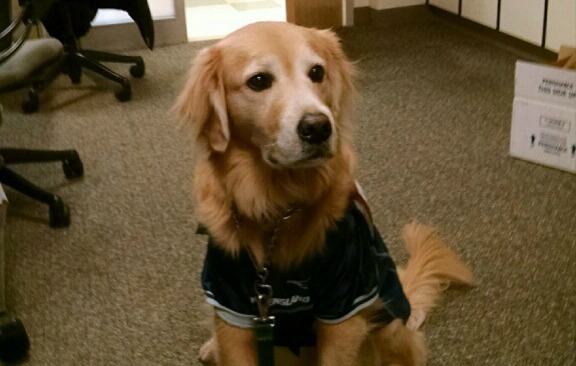 Epilepsy service dog Sarge cracks smiles on the faces of countless patients, family members, and staff at Boston Medical. 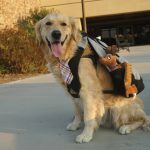 His pet parent is Dr. Georgia Montouris. 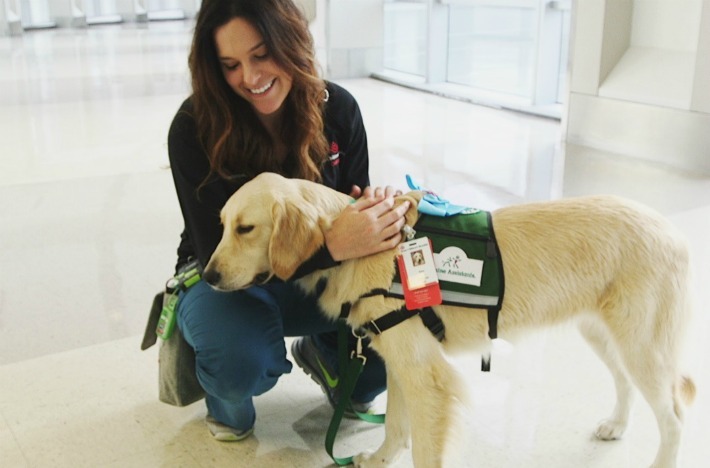 Service dog Pixel is trained to know when Erin Hall’s blood sugar is low or is near an epileptic episode and to go get help during medical emergencies. These extraordinary dogs are trained to be ‘super-hero dogs of the world’. They provide unwavering support and devotion to their partners with special needs, making it possible for them to lead normal lives. Through Milk-Bone’s support, Canine Assistants has placed more than 2,000 hero dogs with individuals across the U.S. 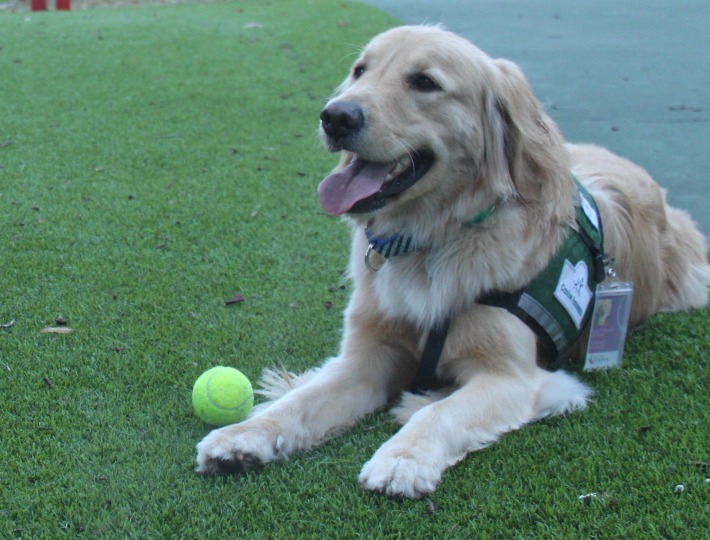 Many of these dogs have touched the lives of more than 20 million people in children’s hospitals, assisted living facilities, schools and homes in communities across the country. they all are heroes and I love what they do… I specially love the name Hope for the golden girl… and I hope Hope brings a lot of hope to the patients who can meet her…. So many Goldens! I think they messed up in the breed descriptions on some of them, but they are beautiful! And it’s not a surprise that they excel in service work! 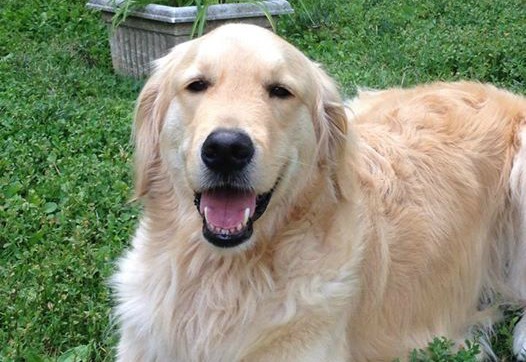 So many wonderful dogs spreading smiles everywhere! What wonderful heroes those beautiful dogs are…and not just to their owners but to people who need their love and caring. Gorgeous dogs doing a wonderful job of helping and comforting those in need. God bless them and their owners. What incredible creatures dogs are! So smart, intuitive, patient and loyal. Just what we need in a best buddy! Especially love the name “Eggroll!” Sweet!